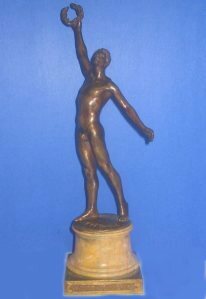 Victorious athlete bringing back the palm of cictory; fame blowing horn in background. The monument of Antwerp commemorating the legend of Braba, the killer of the Giant who terrorised the river, standing out against the Cathedral and port of Antwerp. 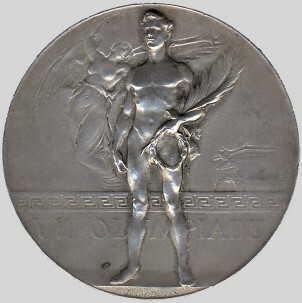 Besides the vermeil medal, the winner of the individual events received a bronze statuette "The Victorious Athlete". For this the artist was another Belgian, Mr. Grandmoulin. 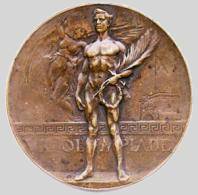 The design was put in hand by the Organising Committee at the International Olympic Committee, who approved it, but the cast was destroyed to prevent further reproductions. 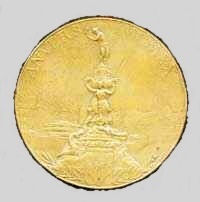 The second- and third-placed athletes were given silver and bronze medals respectively. 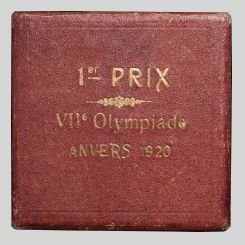 In the team events, the winning team received a diploma and each member of that team was presented with a vermeil medal. 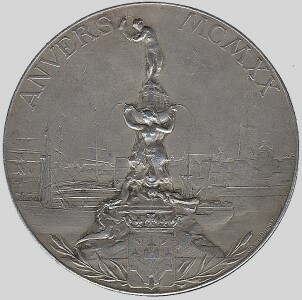 A silver medal went to the second team and a bronze one to the third. 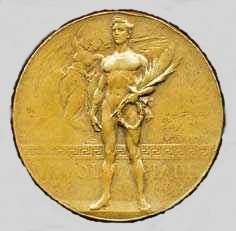 In yachting, the procedure was slightly different as in each category, the helmsman of the first team received a vermeil medal and a statuette but the remaining members of the team got just the medal. 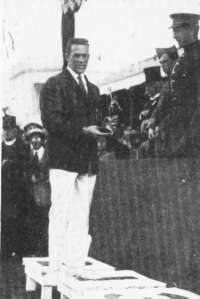 In the doubles tennis, each player of the winning couple received a statuette and medal in vermeil. 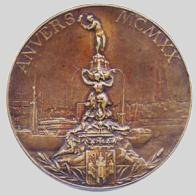 A miniature of the winner`s medal was made for the members of the National Olympic Committees an served as a badge.